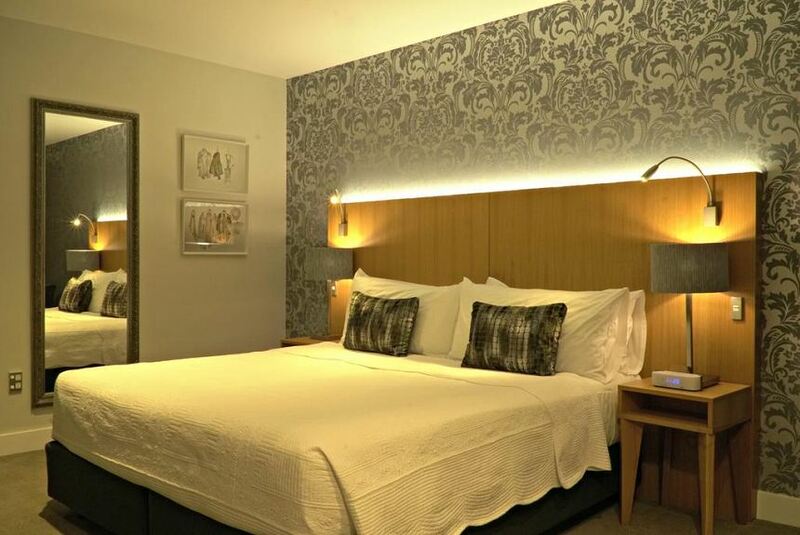 Porters Boutique Hotel is a 5-star property, nestled in the heart of Havelock North village offering an on-site restaurant, 24-hour front desk and rooms with luxury decor and original local artwork. Each room has a private bathroom with free toiletries and a hairdryer. Some have a bath and a kitchenette. A flat-screen TV with satellite channels is included. The restaurant at Porters Boutique Hotel, Malo focuses on serving locally sourced, seasonal Hawke's Bay produce. It is open for breakfast, pre-dinner cocktails and dinners. Te Mata Estate is 3.3 km from the accommodation, while Craggy Range Vineyards is 5 km from the property. The nearest airport is Hawke's Bay Airport, 23 km from Porters Boutique Hotel.